THE ANNUAL CORPUS CHRISTI PROCESSION takes place this Sunday after 11.30am mass in Coachford. The procession is one of the village’s most treasured traditions and is a wonderful event to take part in or to attend as an onlooker. 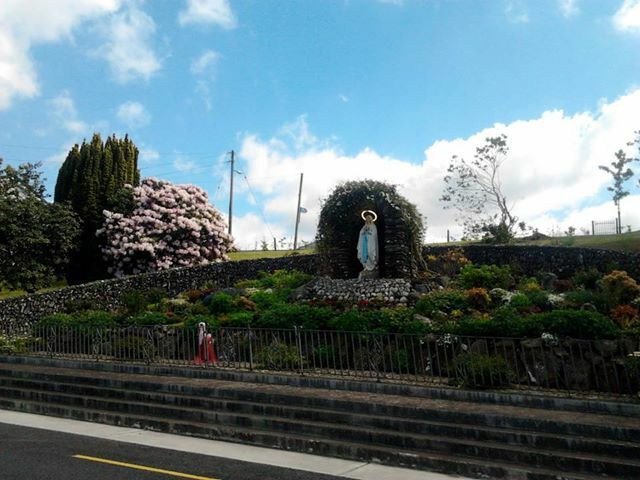 The residents and business’s along the route go to great efforts to decorate their houses and to make sure their premises look their best as the blessed Sacrament is carried through the village to the Grotto. The children from the parish who recently received their first Holy Communion dress up again and shower the route with flowers ahead of the procession. Everyone is welcome to attend an d take part. Breathnach’s bar will host Aghinagh Comhaltas for a lively traditional music session on Friday while O’ Riordan’s Bar will host their 8th annual SNOTTFEST on Sunday. This event is always looked forward to by locals and visitors. Organiser Pat O’Riordan said “ We have a great line up again this year for our Snottfest and we are looking forward to some good weather to make it an even better event than last year. The excellent band, Parallel always perform well here in Coachford and they have a huge following every time they play here.” Snottfest guarantees Craic all day long with an Open Mic session to feature upcoming stars, bouncy castles, live music, DJ, Human Gyroscope, Food and lots more activities to keep the revelers happy throughout the day. Casey’s goals helps Cork win All Ireland. 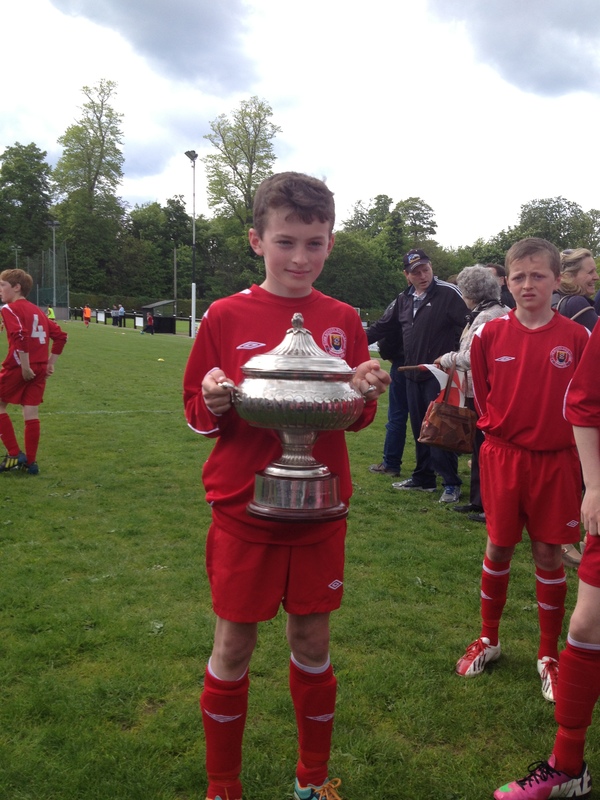 Congratulations to Killanardrish/Coachford player Luke Casey on scoring two goals for the Cork Under 12 schoolboys soccer team in the All Ireland Final last Saturday. 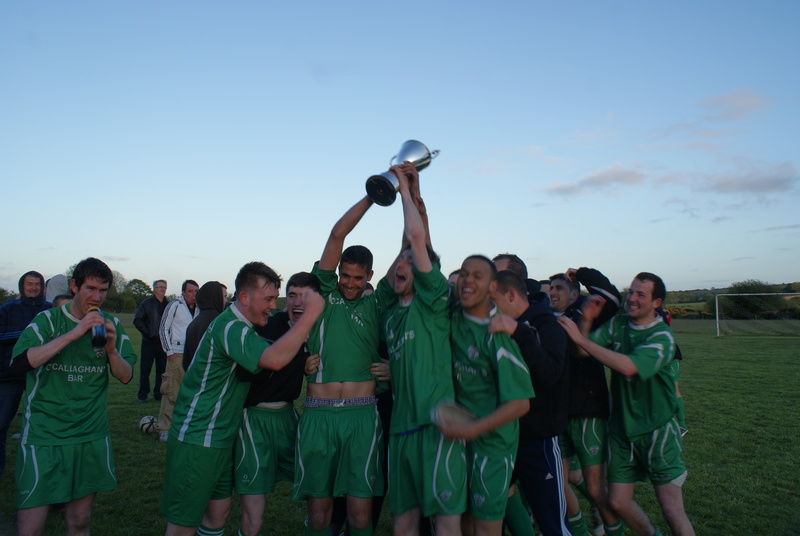 Cork were crowned all Ireland Champions after defeating Limerick side Limerick Desmond by 4-1. Casey opened the scoring for Cork after 5 minutes. Limerick Desmond rallied well and equalised after 13 minutes. A superb shot from Luke Casey on 25 minutes crashed off the underside of the crossbar but bounced out, leaving the score 1-1 at half time. Cork took the lead again after 38 minutes when Casey cut in from the left and slotted a great shot into the far corner for his, and Cork’s, second goal. This was a superb performance by Casey and Cork to lift the All Ireland Schoolboys trophy. Kilanardrish Coachford lost 5-1 to Carrigtwohill in the Division 4 play off. The lads who were understrength played well and were hugely unlucky not to score three or four goals in the first half. Carrrigtwohill went ahead after 13 minutes against the run of play and doubled their lead on 27 minutes from a corner kick. Four minutes later Carrigtwohill pounced on a mistake by the local boys to make it 3-0 before the break. The Coachford based team refused to give up and started the second half strong however the East Cork side went 4-0 up after seven minutes but Coachford pulled one back and piled the pressure on for the remainder of the game but could not score another one and with only ten minutes left, Carrigtwohill made it 5 and were crowned champions. The score does not reflect how well Killanardrish/Coachford played and this game could have ended differently if some of those early misses had been converted and if there was a full side available to the management. A great season all the same for the boys who have gained promotion in a very competitive league. The under 12 and 13 teams are the only ones left in competition at this stage of the year. The under 13s play Tramore Athletic away tonight (Thursday) at 7.00pm in the quarter final of the Con Elliot Cup. The under 12s play their second last league game on Sunday in Riverstown at 10.30am and play Ringmahon Rangers at home in Coachford in the Albert Conboye Cup on next Tuesday at 7.00pm. Still no winner of this week’s jackpot and it rises steadily to €7,400. The numbers drawn were 1, 17, 19. The Lucky dip winners were Eugene O Riordan (€40), Tommy Looney, Sheila Dineen, Kevin Daly and Hillary Walsh. (€20each) Next week’s draw takes place in Breathnachs Bar on Tuesday night. 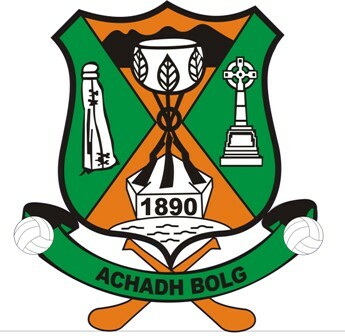 The Aghabullogue Intermediate hurlers play the first round of the Championship this weekend when they meet Barryroe in Brinny on Saturday at 6.00pm. The hurlers who have a new management team in place will be anxious to perform well in the intermediate grade this year. The players have performed well in the league in recent weeks and go into the game with a mix of youth and experience on the pitch. At the same time the Dripsey hurlers face Championship favourites, Kanturk in Donoughmore. We wish the boys in green and white and those in Blue and Red the very best of luck. Students from Coachford College who are not doing exams will finish school this Friday for their long summer break. Those sitting exams must endure another few weeks before they can break free. This entry was posted in Useful Numbers and tagged Aghabullogue Intermediate Hurlers, Aghabullogue National School, Coachford College, Corpus Christi Procession, Luke Casey, O'Riordans Bar, Pat O'Leary, Sciath na Scoil, Snottfest, Thady Delaney. Bookmark the permalink.